Explore All the Pacific Northwest has to Offer in One Fantastic Getaway! Clipper Vacations partners with a number of excellent hotels around the Pacific Northwest to provide a wide array of multi-city package deals. Please note that our expert travel agents can customize any of our packages to fit your transportation, hotel or duration of travel needs to tailor the perfect trip! Experience three popular Pacific Northwest cities during one fabulous tour! This 2-night trip leaves from Seattle and travels to Victoria and Vancouver, allowing you to see the highlights of each city and experience the region like a local. Ready to experience the Pacific Northwest like a local? The Two Nation Vacation brings you to the cosmopolitan city of Seattle, the charming Victoria and vibrant Vancouver, BC with fully customizable transportation and accommodations in each city. An extension of our popular Seattle to Victoria overnight package, this trip is the perfect way to explore to Victoria and Seattle pre/post cruise! Enjoy round-trip travel from Seattle to Victoria on the Clipper with an overnight stay in both cities. Enjoy the rustic old-world charm of British Columbia and the natural wonders of the Pacific Northwest with an immersive experience of the region that will take you the stunning and popular cities of Seattle, San Juan Island and Victoria. This perfect pre/post Alaska cruise package departs Vancouver, BC for Seattle, with an overnight stay in Victoria. One of the best ways to experience the stunning beauty of the Pacific Northwest, this trip can be customized to fit your schedule. Explore three of the Pacific Northwest’s greatest cities! Travel from Portland to Seattle, Vancouver and Victoria with an overnight stay in each city. Visit two exciting Northwest cities, Victoria and Seattle. 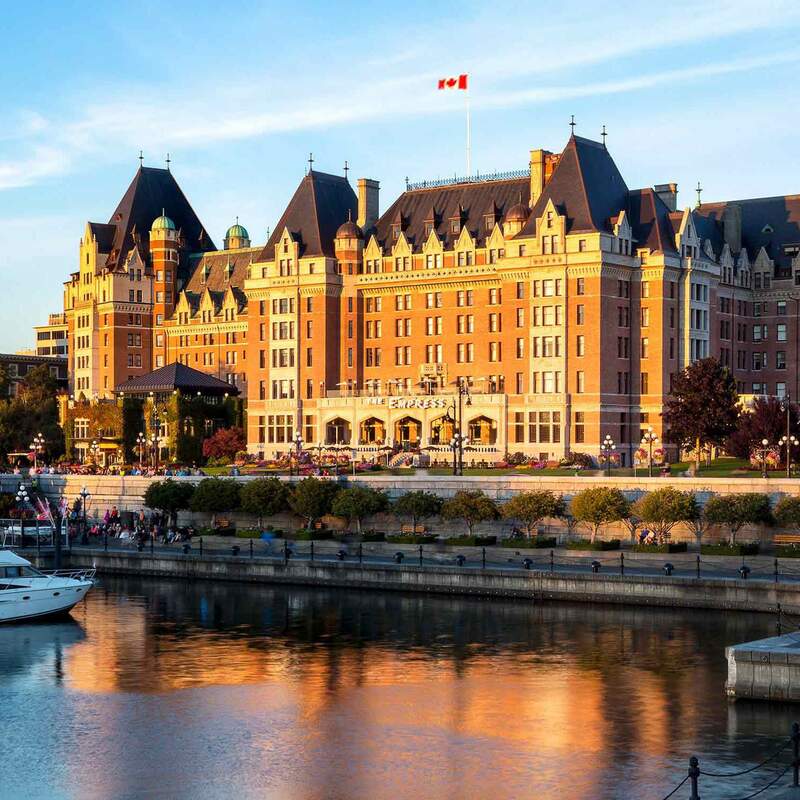 Spend one night in a downtown Seattle hotel before taking a day trip via the Victoria Clipper ferry to the charming and historic Victoria, BC on the gorgeous Vancouver Island. Explore all corners of the Pacific Northwest with a visit to the region’s four most fascinating cities: the cosmopolitan city of Seattle, the scenic Friday Harbor in the San Juan Islands, vibrant Victoria and the panoramic metropolis of Vancouver. Enjoy an exhilarating Northwest adventure where you’ll have a chance to catch sight of majestic orca whales and other marine life as you cruise between Vancouver and Victoria. Soak in stunning views and the chance to explore these vibrant cities! Enjoy a 3-night getaway in the Pacific Northwest’s most famous cities and experience lush forests, panromantic city skylines and excellent cuisine with this perfect pre/post Alaska cruise package from Vancouver, BC to downtown Seattle. Visit two great metropolitan cities in the Pacific Northwest with a 3-night getaway from Portland to Seattle and Vancouver via Amtrak® Cascades to experience world-renowned attractions, scenic peaks and excellent cuisine. Enjoy a thrilling escape right in your own backyard. Spend 2 days sightseeing in Seattle and take a memorable day trip aboard the Victoria Clipper ferry to explore the historic and charming capitol of British Columbia, Victoria, BC!